Lantana Confetti or Lantana Camara, grow and care isn’t a difficult process at all. What is great about this plant is that the blooming time lasts longer than other flowers. There are many varieties with different colors. The colors can vary from white, blue, red, orange, and yellow. Their colors can change when the flowers mature; they might have two or even three colors. The orange color can change into pink. The specific plant can be either perennial or annual. 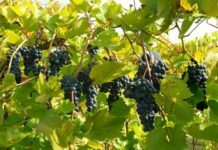 It depends on the region that it grows and the type that you chose to plant. Lantanas attract bees, hummingbirds, and butterflies. Below we are going to give you tips and a guide that you can follow for your growing lantana confetti. Lantanas are considered to be shrubs but you can either plant them in your garden or in a pot. Let’s have a look at the different varieties and on how you can grow lantana. The lantana horrida and involucarta have white blossoms. 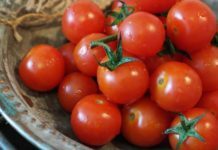 You can grow these different varieties in your garden or you can keep them in a pot in your house. You can combine more than one variety; it’s up to you which one you will choose since they have amazing colors. Growing Lantana Confetti is actually quite easy. It grows best in the USDA zones from 8 to 11. It needs a warm climate in order to grow and a well-drained soil. Once you plant it its blooms might not appear immediately but it will grow eventually, so don’t worry. The pH should be neutral and the soil should be slightly acid. If your soil isn’t acid enough then you could add pine needles with mulch and in this way, you’ll make the soil more acid. Lantanas grow best in tropical parts such as North and South America, Africa, Asia, an Australia. In order to grow, they need full sun and sometimes partial shade and a dry location too. Growing lantana will produce small multi-color flowers. Lantana can reach the height of 6 feet and spread up to 8 feet. It can survive in areas that the soil is salty and dry. Watering won’t be a problem, water it once per week and it will be enough. During the summer months, it might need a bit more watering but don’t overdo it because mold and mildew might appear. The smell of the flowers might bring to mind the citrus smell but that shouldn’t discourage you because it is a beautiful flower. Finally, growing confetti lantana can be placed indoors but it might not thrive. The best thing to do would be to put it in a room with the temperature being below 50 degrees Fahrenheit and in this way, you will preserve it for the coming spring. Growing lantana means that you should take care of the plant too. This doesn’t mean that you should overdo it. 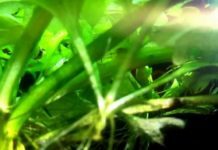 During the early stages, the plant needs to be watered but once it is established you actually don’t have to do many things in order to maintain it. You can water it once a week and you can also fertilize it 2 times per month, it doesn’t require a lot of things. It is an easy maintenance flower. When the pruning time comes you can cut off the dead flowers and the long branches with small scissors. If you do want to keep your growing lantana during the winter season then you transfer it to a pot. Once again make sure that you’ll water the soil only when it is dry but don’t overdo it and buy a pot with holes and tray so as to empty the unwanted water. Even though lantana confetti is a beautiful plant it can also be toxic not only to children but also to your pets. The leaves can cause a rash and if you consume the berries you might get mouth irritation, constipation, diarrhea, and probably abdominal pains. Be very careful with this. The following pests might attack your growing lantana, lace bugs, whiteflies, aphids, and spider mites. In order to protect your plant, you could use Neem oil and a bit of pressurized water in order to eliminate them. If you have lace bugs then the foliage will turn brown or even gray and it will fall off. If you have whiteflies then the leaves will be discolored. Also, if you overwater it and it is placed in the shade then you might notice powdery mildew and it will rot, so pay extra attention to this. One of the growing confetti lantana (lantana camara) varieties the Camara can be used as a herb and it can have health benefits too. It can cure different diseases such as skin itches, asthma, chicken pox, measles, and cancer. It can also heal wounds faster than other medicine. It can reduce the pain and especially insect bites if you apply it directly in the bite. Growing confetti lantana has all these great benefits but as we mentioned before it can be toxic to pets and humans. Before you actually use it get advice from your doctor or herbalist in order to advise you on the proper way that you will use it. Growing lantana confetti is actually quite easy. It is a plant that doesn’t require a lot of extra care. The only thing that you need to pay attention to is the soil and the watering. If you keep them in mind then your growing lantana will be just fine. Incredible flower clusters with pink, yellow and purple bloom abundantly all summer long. Tolerant of heat, they provide a colorful addition to containers, hanging borders or baskets. 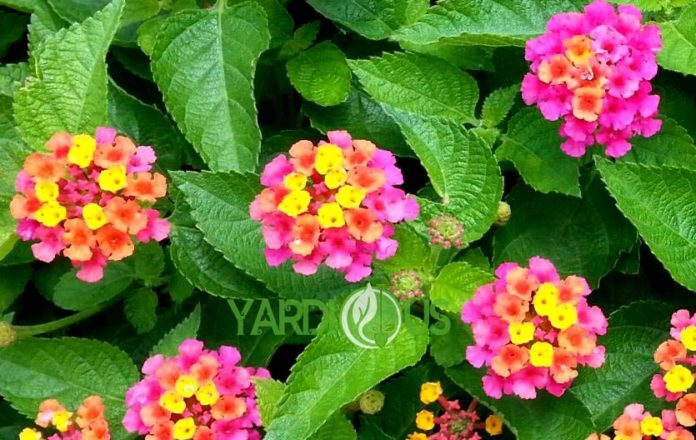 There are different varieties of growing lantana that you can choose from. It’s up to you to see which one you like the best and as we mentioned before you can choose more than one variety. There are many benefits that this beautiful flower has, but keep in mind that it is toxic. Follow our tips and have fun while planting it because it has amazing flowers that you can enjoy all year round.